New DTE Energy increase could be ahead, so why not switch to solar? Blog / New DTE Energy increase could be ahead, so why not switch to solar? Rate increases are nothing new for electricity customers to bear. DTE Energy customers are no different, and there are a number of groups unhappy about the latest proposed increase, per a report from Sarah Cwiek of MichiganRadio.org. Per its rate case filed last July, DTE seeks to raise rates an average of 9 percent across all residential customer groups and raise an additional $231 million annually for “continued infrastructure improvement.” Groups who protested outside of a DTE customer service center in Detroit last week say that the proposal would affect low-income customers the most. But one [customer] group, getting service at a special low income pilot rate, could see rates rise as much as 45-percent. And across the board, the company is requesting higher rate increases for customers who use the smallest amounts of energy in each rate category. Nicole Hill, an activist with the Work for Me DTE campaign, says the proposed pricing scheme is regressive and will punish people who try to use as little energy as possible. The groups also argue that DTE’s plan for grid upgrades favors areas with the most economic activity, rather than communities with the greatest infrastructure needs. They’re also upset about a proposed rider that would change how DTE charges customers who produce solar energy, effectively making it more expensive and expanding the time needed for residential solar systems to pay for themselves. A DTE spokesperson suggested to MichiganRadio.org’s Cwiek that the protesters are more concerned about the company’s proposed solar rider, saying that the rider is an effort to get solar customers to pay their “fair share” for supporting the grid. Cwiek reports that DTE hopes to have its new rate in effect by May. However, any rate increase must be approved by the state’s Public Service Commission. While you sit and wonder whether that rate increase kicks in, know that customers can insulate themselves from rate increases by going solar at their homes. Why pay the power company when you can generate clean, renewable energy for your home yourself? That’s the value of solar. Your price for solar energy is locked in, and when you pay off your panels, that energy is completely free to you! POWERHOME Solar would love to work with you in an effort to save you money and the environment. As an official partner of the Detroit Lions, we’ve already installed solar panels at the parking garage at Ford Field and at the team’s headquarters at Allen Park. POWERHOME was also named state’s Emerging Business of the Year by the Michigan Energy Innovation Business Council in 2018. Homeowners who go solar with POWERHOME can do so for $0 up-front cost. Our panels are American made and come with a 30-year warranty, which is five years longer than the industry standard. Please feel free to contact us at 800-765-2715, and we would be happy to see if your home qualifies to go solar. 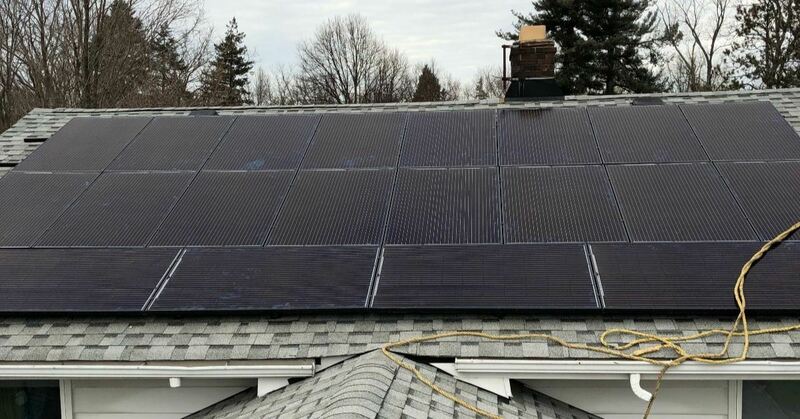 Not every customer qualifies, but for those who do, it’s a great way to save tens of thousands of dollars over the lifespan of their solar systems. Don’t rent your power from the power company. Own it with help from POWERHOME Solar!